The construction of the Flavel Firenze bronze radiant gas fire is made of only the highest quality materials. Its versatile design allows it to be hung on the wall or mounted on a hearth, allowing the easy integration of an array of different home interiors. In addition, the compact size and ease of use of the Flavel Firenze bronze radiant gas fire will perfectly complement the decor of any home. The Flavel Firenze bronze radiant gas fire has radiant and convected heat with a output, on high of 3.4 kW and the low heat output of 0.6 kW. An air vent is not usually required for installation, making it suitable for a wide range of interiors. The builders opening size will require a minimum height of 510 mm and a maximum of 650 mm. The opening width will require a minimum of 305 mm and a maximum or 440 mm. The safety features include a Safety Flame Supervision Device (FSD) and an Airwatch System. 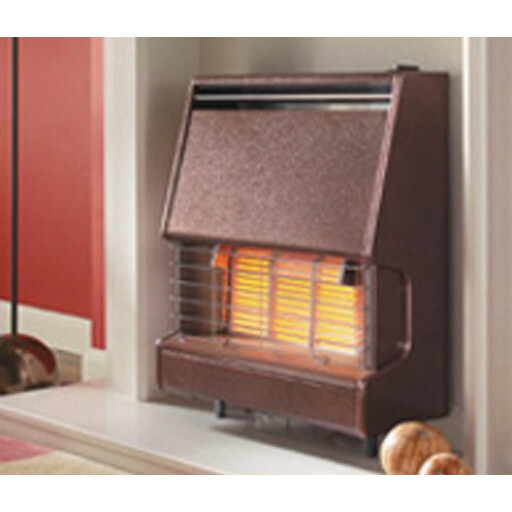 The Flavel Firenze bronze radiant gas fire comes with a three year warrantee.